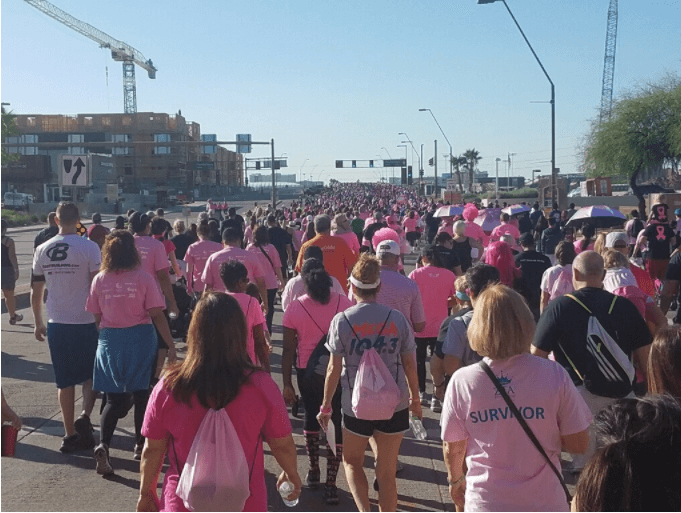 Thanks to everyone that helped make Ironwood Women’s Centers participation in Making Strides Against Breast Cancer Walk a success! Team Ironwood Cancer was made up of employees, friends, and family of Ironwood. This walk is an opportunity to honor breast cancer survivors, and raise awareness about steps we can take to reduce the risk of getting breast cancer. Walking in perfect weather with friends and helping out an important cause makes for a great Saturday morning! Click here to contribute to Team Ironwood.